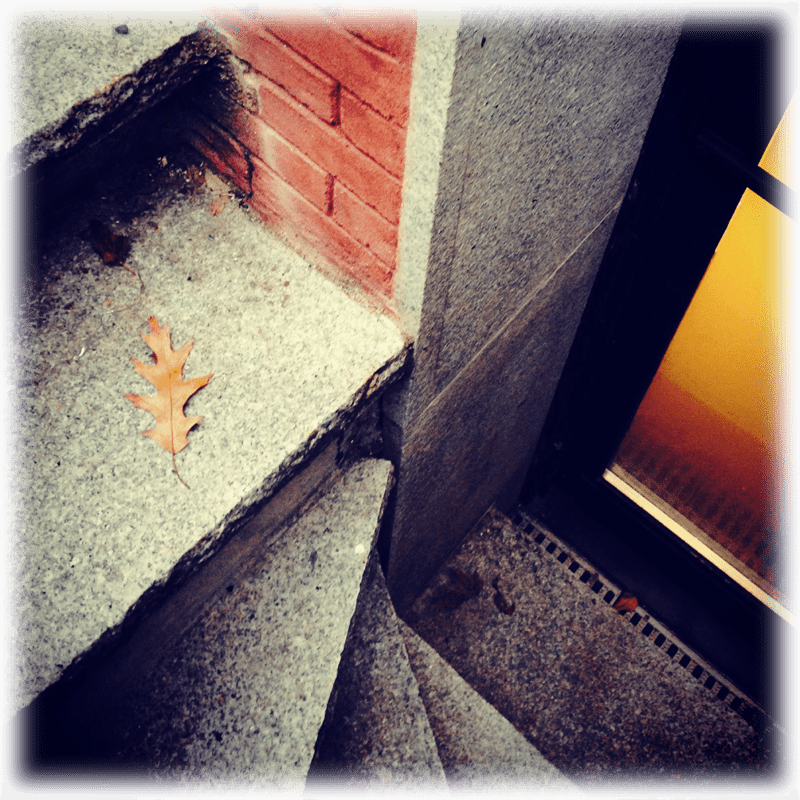 Root down & branch out with our comprehensive 200-hour video program. Dig in to Herbal Learning! The Foundations in Holistic Herbalism online program has depth and breadth – allowing you to solidly root your herbal practice while branching beyond just the plants to create a comprehensive holistic program. We Want YOU To Become An Herbalist! We teach because we want you to become an herbalist. We think more herbalists will make this world a better place! For some people, studying online is the ideal situation, but for others it can be difficult to stay on track. We've built a ton of accountability into this program to ensure that you do what you set out to do: become an herbalist! Our ENTIRE PROGRAM is video recorded. This is NOT a self-guided program – we teach each and every minute of the program ourselves, using the same curriculum that we have been using and perfecting here in Boston for the last seven years. You're not paying for someone to tell you what you should study: you're getting in-depth video instruction. If you can watch TV, you can succeed in this program! I'm immensely grateful for your teaching and really glad I stuck with the program. I think that investment is paying off now because I'm putting that training into practice to take care of client zero, which is me. I know I have a lot that I can do, and I can do more of it because I have tools to take care of myself, and way more of them now than ever before. Do you like to practice things a few times to make sure you have it down? We've got you covered! In each module, every individual class has homework suggestions – there will be things you can read and listen to, things you can make and try, and review questions you can answer – and a student forum where you can ask all your questions. We monitor the forum every day ourselves – no admins or work-study students giving answers. And we'll be checking in on you at regular intervals to see how you're doing and whether you need any help. In this program, you won't be left to "figure it out for yourself" - we'll be with you every step of the way. We make sure you understand the material in each module before you move on with quizzes and tests – so you can be sure you're right on target! I felt supported but also held accountable, which was a huge thing for me! Do you worry that you'll feel isolated and anonymous with an online program? We bring the community to you! We teach every class personally, and we're teaching from our own experience – not just in our clinic, but even in our own bodies! We prefer the video format because it's much closer to actually being in the classroom. Between the videos, the weekly live Q&A webinars, and our direct answers to all of your questions in the discussion thread, we'll get to know each other well as you go along! We might be separated by miles or time zones, but we'll be working together towards a common goal: to make you an herbalist! Not only that, but we really encourage all students to comment on each other's posts as well, so that everyone forms a tight-knit community. In this country, often there's only one herbalist in any given town, but if we are going to support the health of the people in our communities, we need people to support us as well! By forming tightly connected class groups, we can always be sure that there is someone who understands what we're going through, right at our fingertips! We'll be there, right by your side the whole time - and as students, you'll be there for one another, too! They offered so much needed advice, support and love, while pushing me through my own fears to make structure out of 30 plus years of dreaming and study. With their help I was able to organize and plan out exactly what I wanted to create. Maybe you've taken some hobby classes, and now you're ready to dig deep and get serious about this work. You're in the right place! For the last seven years, we've been teaching students who go on not only to care for themselves and their families, but who turn herbalism into a career. 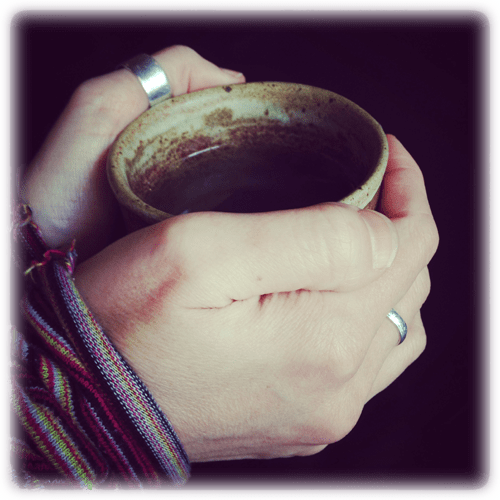 Here's what some of our Students and Graduates are doing with their herbal education! If you're ready to move beyond the hobby stage, or if you're just a person who takes your hobbies seriously! – this is the program for you! "The Foundations of Holistic Herbalism is a complete course in practical herbal medicine for beginning and intermediate students." "After completing this program, you'll be confident in your ability to care for yourself, your family, and your friends with natural methods." Holistic Herbalism is a 3D, 360-degree philosophy about health and care. the load-bearing part of a structure; a platform on which to build. You can't build a house without a foundation. You also can't build it without a blueprint. Our step-by-step instruction begins from universal principles and proceeds to specifics, adding layers of complexity in an organized, intentional progression. A house can be built in all kinds of beautiful and functional ways, but all of them have to abide by the laws of physics and the nature of their materials & methods. Herbalism can be practiced in all kinds of intricate and effective ways, but all practices are defined by their materials & methods. My previous study was, honestly, kind of all over the map. Having an organized program gave me the structure to make sense of what I'd studied so far and where I was going next. 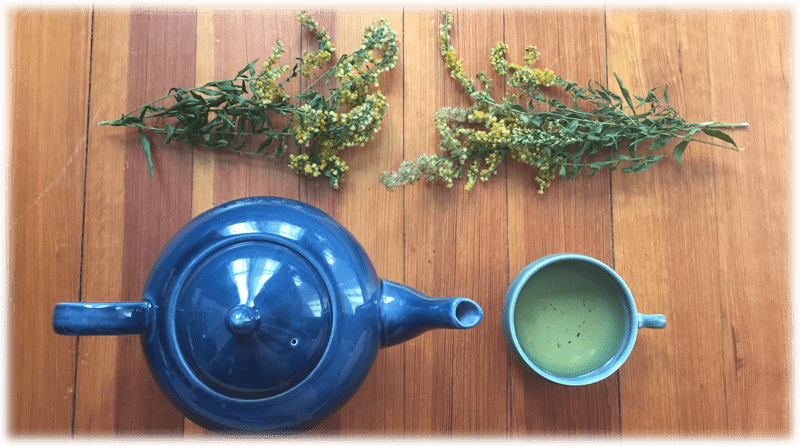 You can't learn herbalism without a foundation, and a plan for taking it from theory to practice. We've been teaching this program here in Boston for the last seven years, and we've developed a comprehensive learning system so students can make sense of the complex interconnectedness within our own bodies, and apply the concepts learned in an effective, professional way. You can study all kinds of things about herbalism, and we think you should! However, without a clear blueprint and a framework to hold it all together, you have a lot of fun facts, but you don't have a practice. Facts are fun, but when you want to put them into practice, you need a solid foundation on which to stand. The strength of your foundation is what takes you from being interested in herbalism to being an herbalist. This program will help you strengthen your foundation and branch out into the world of professional herbalism. Wouldn't it be nice if a cup of tea could fix all of your problems? We think so too! And sometimes, it can! But, more often, the health problems people face today are multifactorial, and require a holistic approach. Our program allows you to be armored with knowledge and tools to understand and implement holistic healing programs that address current societal and individual health challenges. I'd visited herbalists before, and I'd tried figuring things out on my own, too. It wasn't until I started consulting and studying with Katja that I started to seriously look at my diet, my sleep, my stress . . . that's when things turned around. There's a lot of conflicting information about which diets are healthy and which aren't. We spend an entire module analyzing healthy eating habits throughout history and across the globe – and in each body system module, we refer specifically to how nutritional factors affect the health & functioning of your whole body. You are how you move, too! In today's society, we just straight up don't get enough movement in our daily lives. (And don't think that's the same thing as "exercise"!) Movement is requisite to proper functioning of your cardiovascular system, and your lymphatic system, and your immune system, and – well, because of those, every other system! Since movement is so important for "all the things", we'll spend a lot of time talking not only about proper body alignment and functional movement, but also specific recommendations for real-life problems including pain management and proper organ function. Four elements, four pillars of good health, four directions - we love the compass model and metaphor for holistic thinking! Put all four & more to work for you. You are at your best when you're well-slept. People have been saying "I'll sleep when I'm dead!" for at least a couple decades now – it's a perennial favorite of joking-not-joking comedy, with a hint of desperation and a whiff of defiance, some might say. (We're those some.) Seriously, you need to sleep! Despite our cultural norms and the supposedly glamorous sleep-deprived lifestyles of the rich & famous, sleep is absolutely critical to good health. It's not always easy! Pain, anxiety, stress over work – would you believe even the food you eat plays a role in how well you sleep? Each module includes information on how sleep impacts us physically and emotionally, and what you can do to improve the situation. You deserve a break from stress. It's not just pleasant, it's actually healthy! Stress can bring you down, not just mentally but physically too... Just don't stress out about it! That's the tricky part. In the program, we cover herbs and lifestyle strategies to mitigate the effects of daily and chronic stress. Katja and Ryn go beyond 'this-herb-for-that' herbalism and teach foundational support of lifestyle, movement, nutrition and sleep - backed by current research and clinical experience - to bring herbalists to a deeply holistic way of seeing the body's interplay of physiology, and the many interventions we have to direct it toward health. We believe you should always have more than one teacher. Fortunately, our programs are always taught by two! Katja and Ryn are great co-teachers! They're funny and they do a good job of illustrating different viewpoints to help us see the different perspectives on each topic. Any time you put two herbalists in a room and ask a question, you should expect no fewer than three responses. This is still true if those herbalists are husband and wife! Why? Because herbs are just like your human friends: everyone knows a different side of you, and you enjoy doing different things with different friends. Herbalists build different relationships with plants too, so the more you hear about a plant from different herbalists, the more complete your understanding of that plant is! Teaching as a team allows us to give you our individual perspectives on each herb and on how we apply them in practice, so you can get a multi-faceted sense of the whole field of possibilities and make your own decisions. Becoming a student at Commonwealth Center for Holistic Herbalism has been the best decision I have ever made in my life. I felt at home from the first moment I started, and that feeling has not gone away. Ryn and Katja have lifted the veil of conventional thought, and shown me a world that is vibrant, green, and natural. I cannot thank them enough for that, and I am looking forward to continuing my studies with them! 200 hours of video instruction by Katja and Ryn. Many programs list the hours that they think it should take you to complete reading assignments, etc, in their total program hours, which makes the program look really impressive - but it's not a good indication of what you're actually paying for! Make sure to ask how many hours of the program are actual video instruction before you choose a program! The complete list of modules in the Foundations of Holistic Herbalism bundle is listed and described below. PDF handouts, resources, worksheets, and more. We recommend that you find a large 3 ring binder to keep your handouts and notes in. Our students here in Boston do that, and it seems to be a great way to organize material in a sequential way. As you progress through the program, your binder will grow to become a resource you can return to for years to come! All of the handouts and worksheets are optimized for printing, and collating your own notes with the printed handouts creates a construct for you to internalize your work! Direct access to Ryn and Katja through the discussion threads and weekly live Q&A webinars. You've got questions? We've got answers - probably two or three! Just toss your questions right into the discussion thread and Ryn and Katja will answer them daily. Plus, we encourage students to comment on each other's questions as well: we want to acknowledge that everyone has valuable experiences and that together as a community, we have a rich tapestry of knowledge. It may turn out that another student has an experience that gives them unique insight on your particular question! You can talk to us and other students directly every week during our live Q&A webinars, too! When we all learn together as a community, we form much tighter bonds of support and solidarity! Homework assignments & quizzes to keep you on track. There's no such thing as a "certified herbalist", because herbalism isn't regulated in this country. However, it's completely appropriate for you to receive a certificate that documents your hours of study, and we will provide you with a lovely one! Should you decide to seek professional membership in the American Herbalists Guild, our three-year program - starting with this Foundations program, continuing with our Advanced training, and finishing with Clinical Roundtable - exceeds the educational requirements for your application. We're happy to help you through the process! You receive access to the entire program contents immediately upon completing registration and payment. You can work through the material at your own pace; we recommend planning to spend at least four hours watching the instructional video content per week. Additionally, it's good to allocate about an hour a day to work on homework assignments, readings, herbal medicine-making projects, and to generally just have a lot of fun playing with herbs! Each course is broken up into lessons. The centerpiece of each lesson is a video lecture, with Katja and Ryn giving in-depth instruction. Accompanying each video, you'll receive a PDF which you can download or view separately. We recommend printing out your handout, so that you can take notes as you watch! Each lesson will wrap up with a quick quiz to make sure you've absorbed the key points from the video lecture. You'll receive a list of resources for further study on the topic at hand, to explore the issues from multiple points of view and to get perspectives from other herbalists, researchers, and practitioners. We'll also give you "homeplay" assignments - projects like medicine-making, herb tastings, neighborhood plant identification, and other practical tasks to carry the new information from understanding-in-the-mind to familiarity-in-the-body. You'll turn in your reflections and responses to us, and we'll give you personal feedback. At any time, if you have questions, comments, or thoughts you'd like to share with us and your fellow students, just click the Discussion menu item, found at top left in the course player. 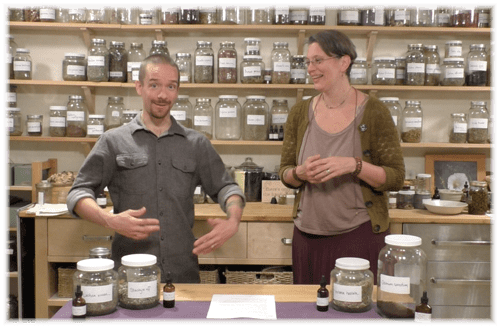 If you'd like to purchase the whole Foundations in Holistic Herbalism program, we price it at $12.50 per video instruction hour, for a total of $2,500. That's significantly lower than other programs either in person or online, as priced per instructional hour. Your tuition is payed in monthly installments of $250 for ten months. If you'd prefer to purchase the program one module at a time, each module is priced at $15 per video instruction hour. So if the module has 10 hours of video instruction, it will cost $150. Your class outlines, forum access, homework and quizzes, and additional support are included in that fee! Enrollment in the program constitutes a commitment to pay the entire tuition. If you enroll in the monthly payment option and stop making your payments, your access to the program will be suspended. Once payments are complete, you have lifetime access to your program! There are no required books for the program, but several are strongly recommended. A budget of $50-$100 should more than cover the costs for a few basic books, and many of the books we recommend are available in your local Public Library system. All of our assigned readings are in the form of articles, studies, monographs, and other resources which are accessible online for free. Students will also need to acquire their own herbs and other medicine-making ingredients and tools: tea strainers, oils, beeswax, alcohol for tinctures, bottles, etc. We provide information about local herb shops and online suppliers. We estimate total incidental expenses should amount to no more than $15-45 per month. We offer a two-week withdrawal period for students enrolled in the full Foundations of Holistic Herbalism bundle. For students in individual modules, we allow withdrawal for a refund anytime before starting the second lesson. After that point, we do not offer tuition refunds. If you've already completed Herbalism 101 or any of the individual courses which make up the Foundations program, you can get a discount equal to the tuition you've already paid. You can transition directly in, and get to the additional material right away! By buying the complete Foundations in Holistic Herbalism program as a whole, you save $560 off what you'd pay if you bought each of its 19 modules one at a time. All of this content will be available to you for life. Any future content expansions or upgrades will be available to you immediately when they're made. Let's Go - I'm In! Check out this free video from our Holistic Herbalism Materia Medica course, the first step in the Foundations program, in which we tell you everything you need to know about ginger. The Materia Medica course includes another 86 of these videos - and it's still growing! The Orientation & Introduction to the Foundations in Holistic Herbalism program is available for free to all! It outlines everything we'll cover and includes our thoughts on how to study and research herbalism effectively, how to plan out your course work, and how to get the most out of our courses! We consider these courses, taken together, to constitute a complete "year one" education in herbalism. They convey basic competence in self-directed and family herbalism, while preparing you to continue to advanced topics.